US equity indexes closed broadly weak, sp -2pts @ 2256 (intra high 2264). The two leaders - Trans/R2K, settled lower by -0.9% and -1.1% respectively. 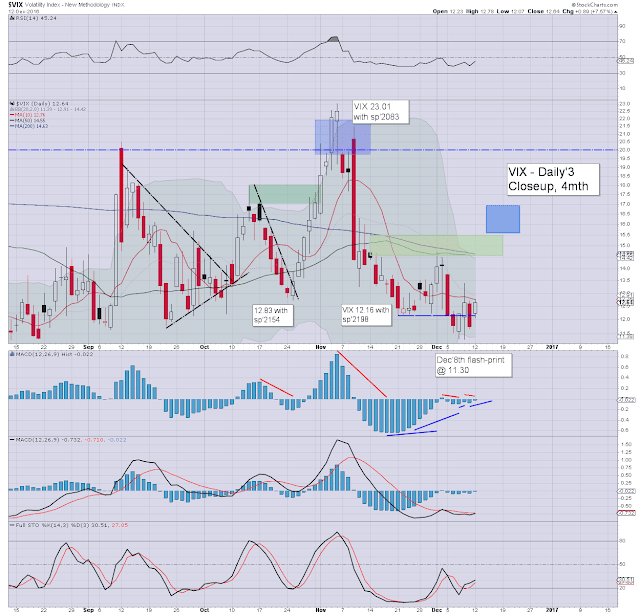 VIX settled +7.6% @ 12.64. 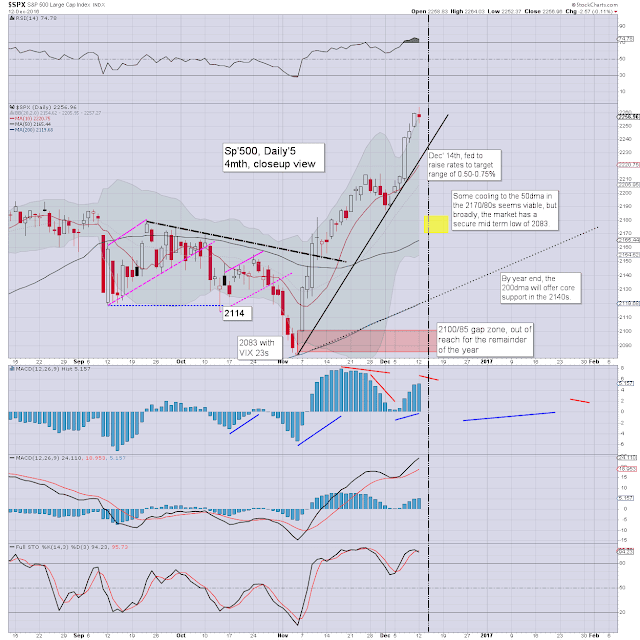 Near term outlook is for some weakness to at least the 2230s before end week. It was a mixed start to the week, with new historic highs for the Dow and sp'500, but with increasing weakness into the afternoon, lead lower by the Trans/R2K. VIX is reflecting a touch of concern, as the fed are set to raise rates this Wednesday afternoon. 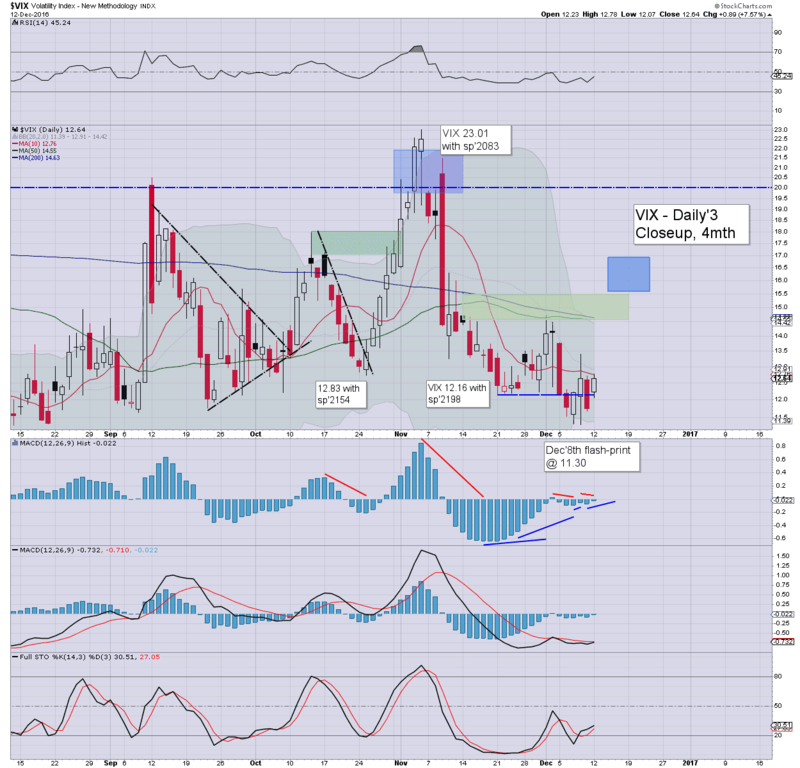 On balance, VIX 14s seem an easy target, and that would likely equate to sp'2230s.. before end of this week. A larger retrace to the 50dma in the sp'2170/80s looks difficult, as broader price pressure remains exceptionally bullish.